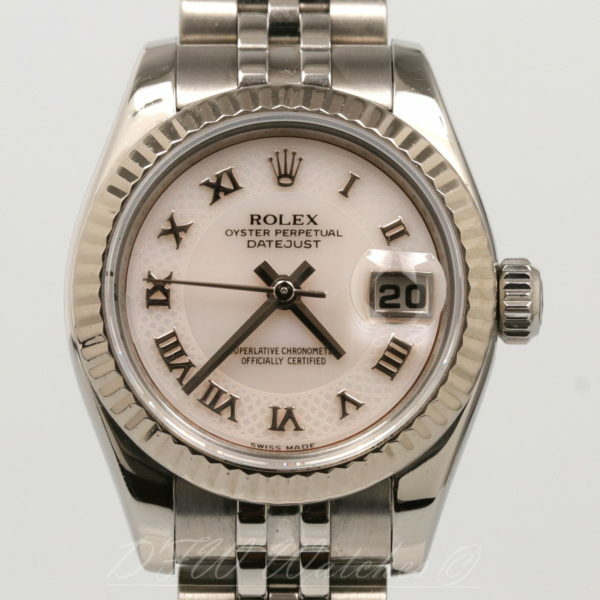 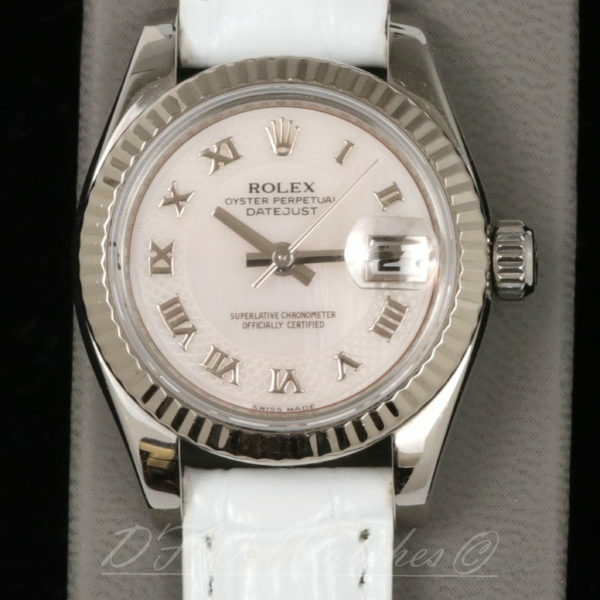 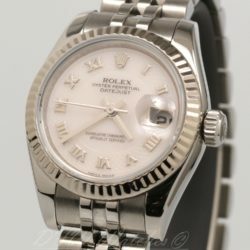 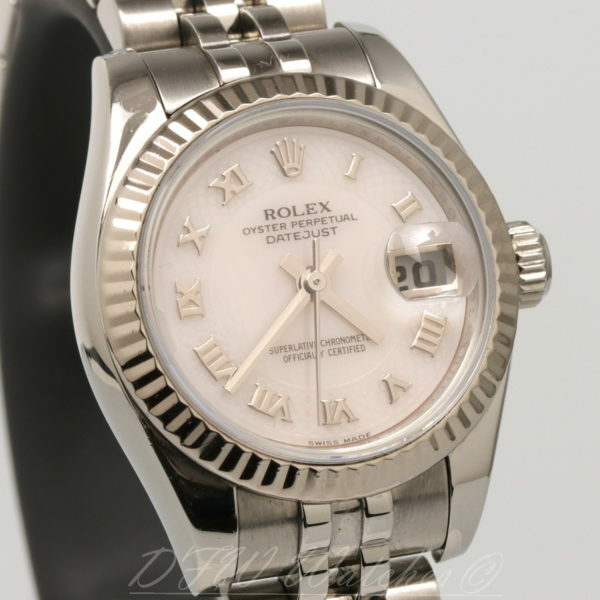 Pre-owned Rolex Lady Datejust 26mm White Gold & Steel Decorated Mother of Pearl 179174 M serial in excellent condition with some marks on the bezel and sides of the case. 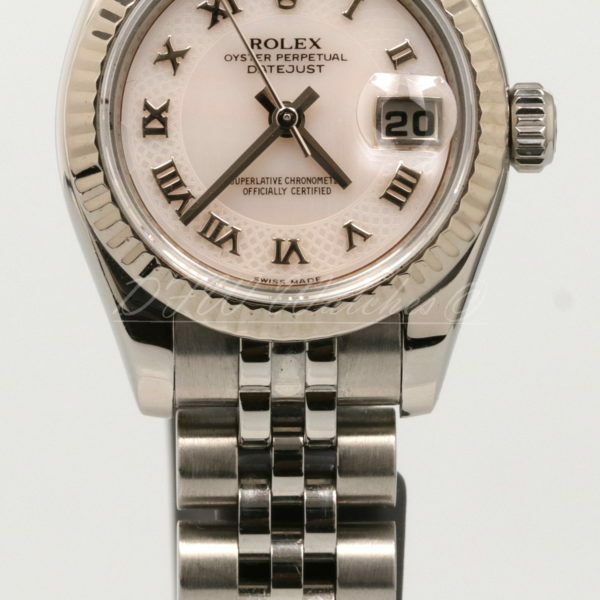 This 26mm piece features a stunning factory decorated white mother of pearl dial with Roman numeral hour markers. 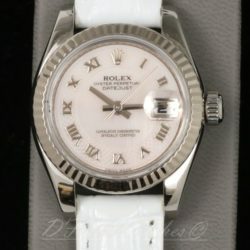 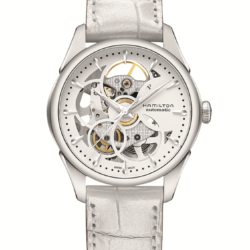 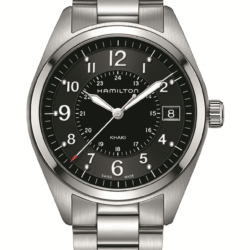 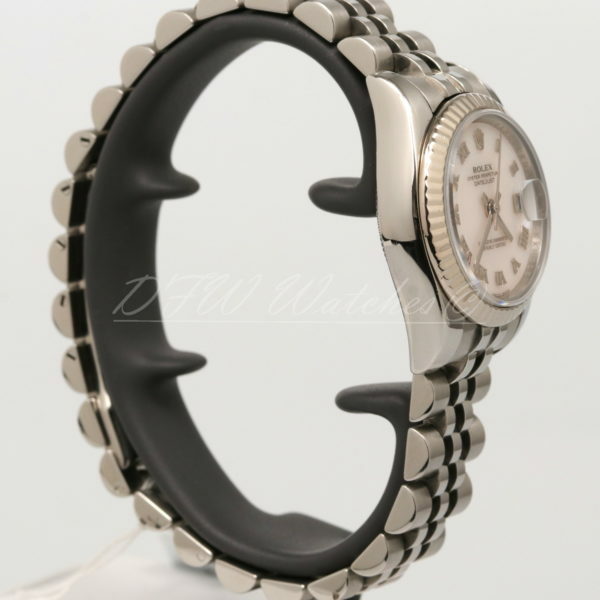 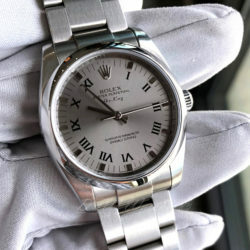 It has a white gold fluted bezel and jubilee bracelet. 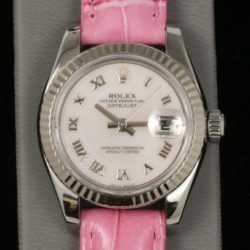 This also comes with pink and white alligator embossed leather straps, and any of the three options can be installed on the watch at the time of purchase. 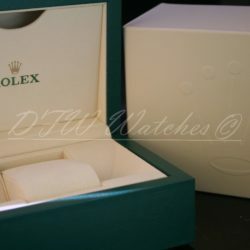 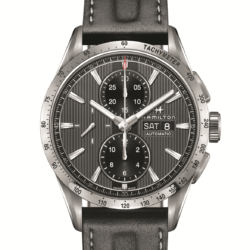 This comes with original Rolex boxes, insurance appraisal, and one year DFW Watches warranty. 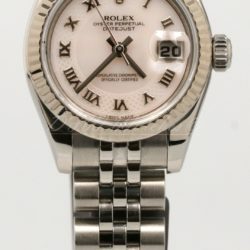 Unfortunately, the original warranty papers were misplaced. All pictures are of the actual item being sold.